Today, it’s cloudy, cold and rainy. 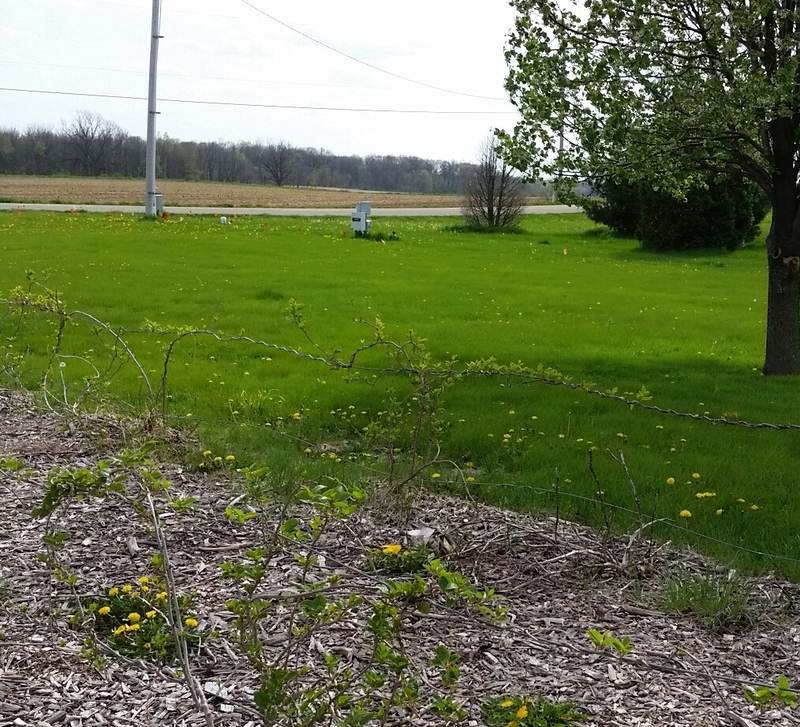 Yet…even in this dull gray weather, I can see that everything is turning green. Dandelions carpet the ground and bees buzz all around. 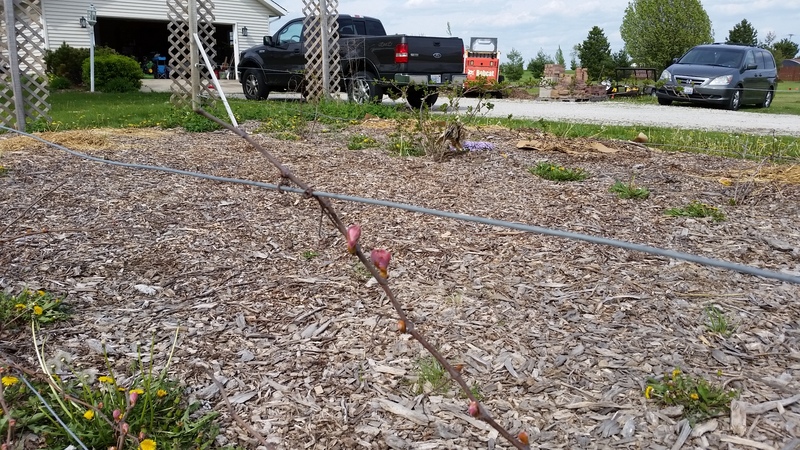 In the vineyard, the kiwi, grapes and hops are leafing out. The mint is starting to take over. 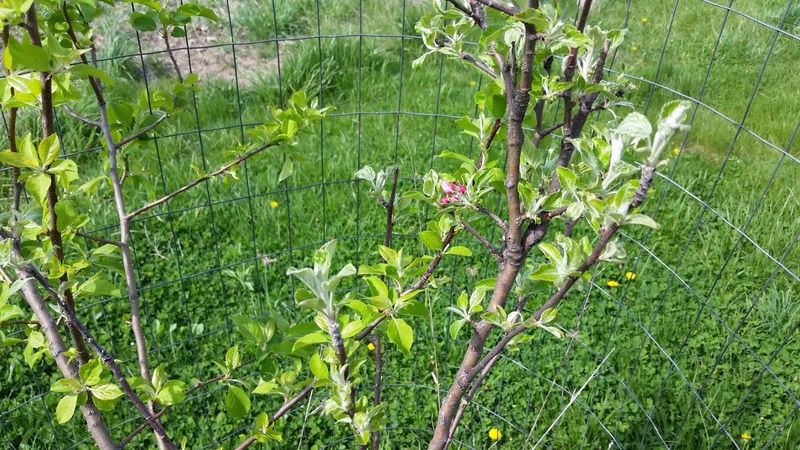 The very first apple tree we planted has blossoms. Gorgeous pink blossoms. The aronias are peppered with tiny white buds. 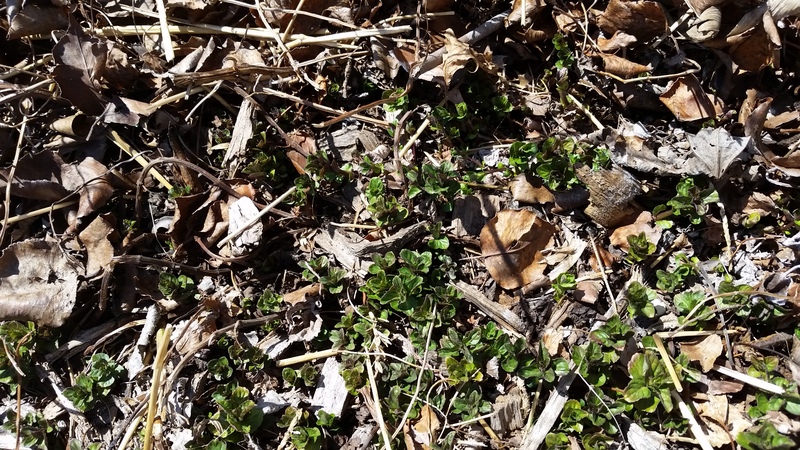 The thornless blackberries are leafy and a rogue seaberry plant has popped up underneath one of them. 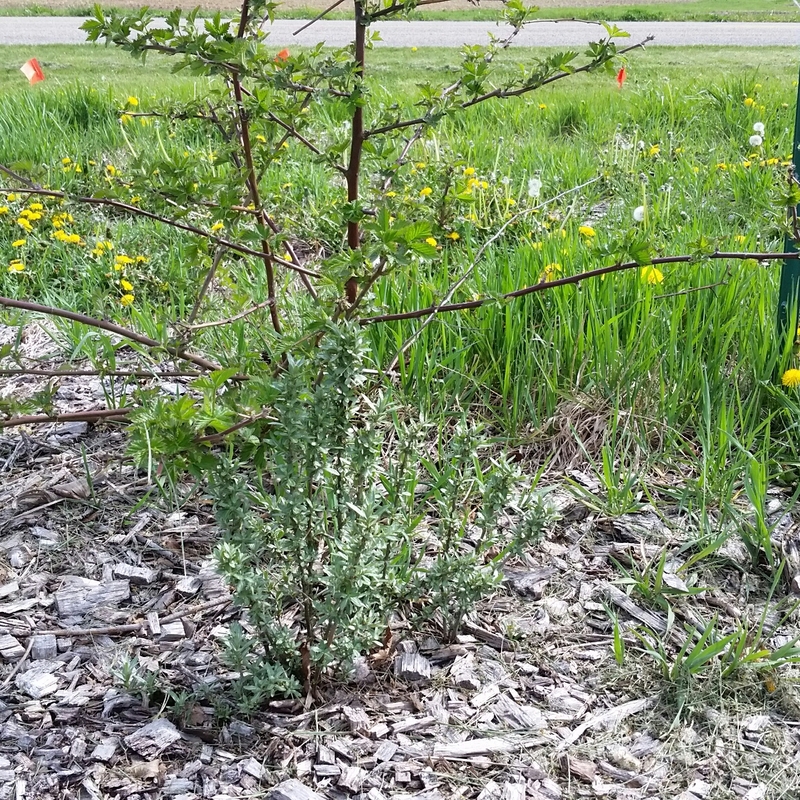 I did not know that seaberries suckered. We only planted these two years ago and already the root system has spread and new plants have popped up. I discovered this one last year and another one this year. They aren’t small either. The aronia’s are doing the same thing. 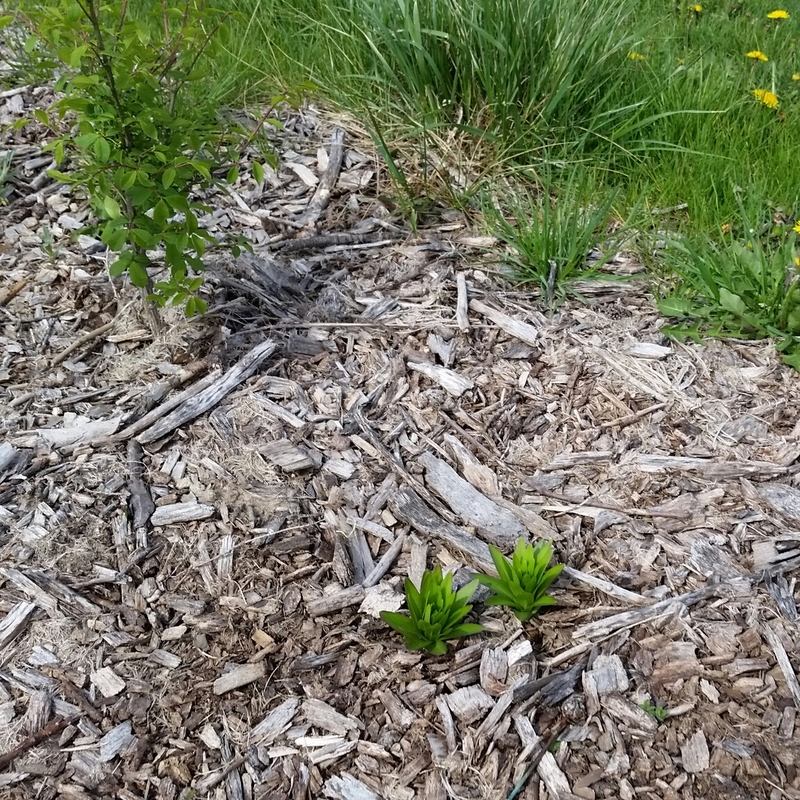 I checked on the burning bush we planted three years ago and noticed that tiger lilies we transplanted last year are popping up…all over the place. 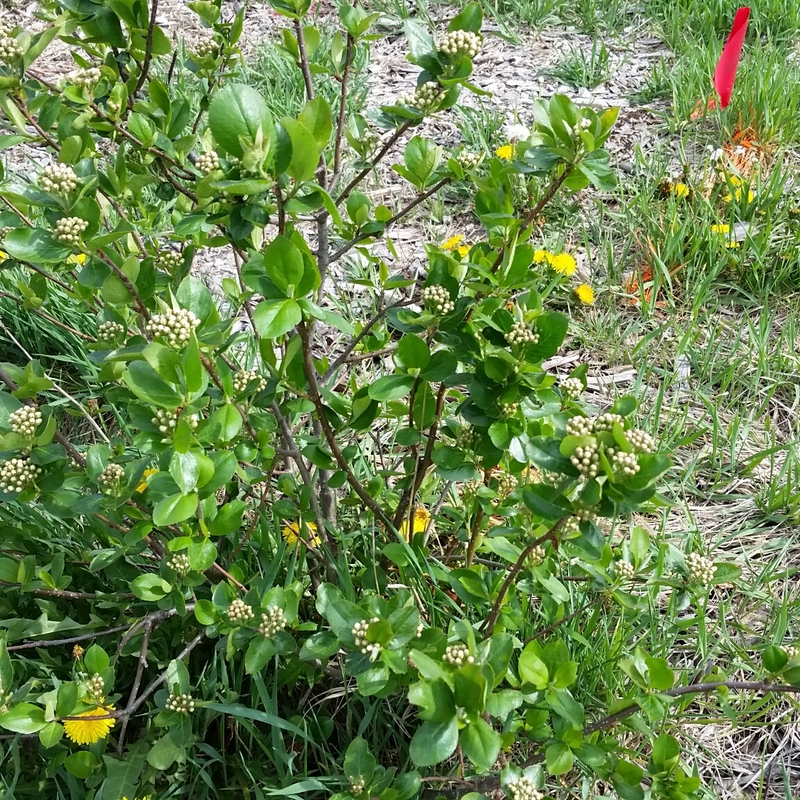 Our honeyberries have blossoms. I cannot wait to taste these. Some people say they taste like a blueberry/raspberry cross. Others say they have a kiwi flavor and still others a grape flavor. 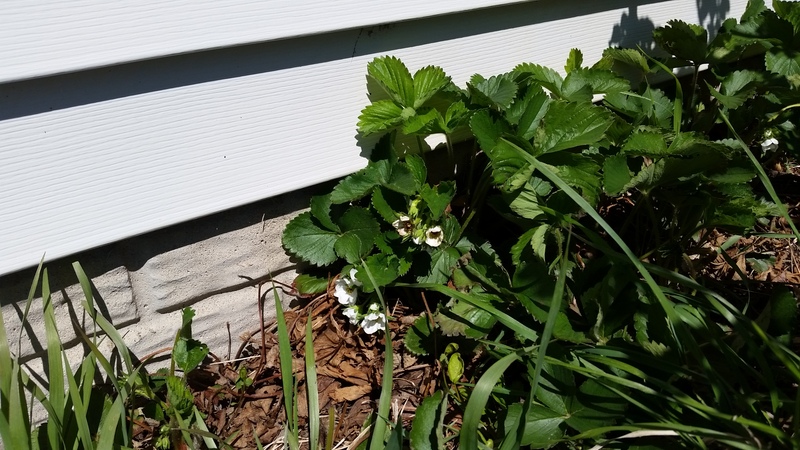 Our strawberry patch is ridiculous. They’ve spread and completely taken over the area under the rose bushes. I’m a little worried about one of the rose bushes. While two are booming and blooming, one has several empty branches and the leaves, rather than being a bright green, are a sad greenish yellow. 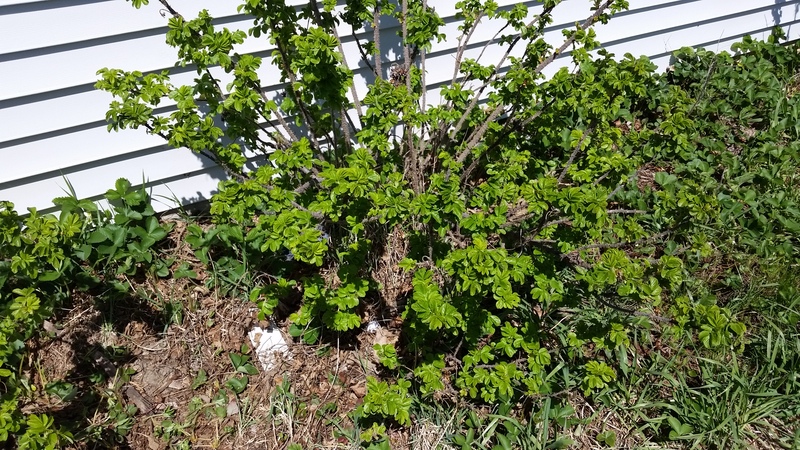 I am going to try fertilizing this one and cutting out the empty branches. It could be that it is being flooded. It’s right by a leaky spicket. 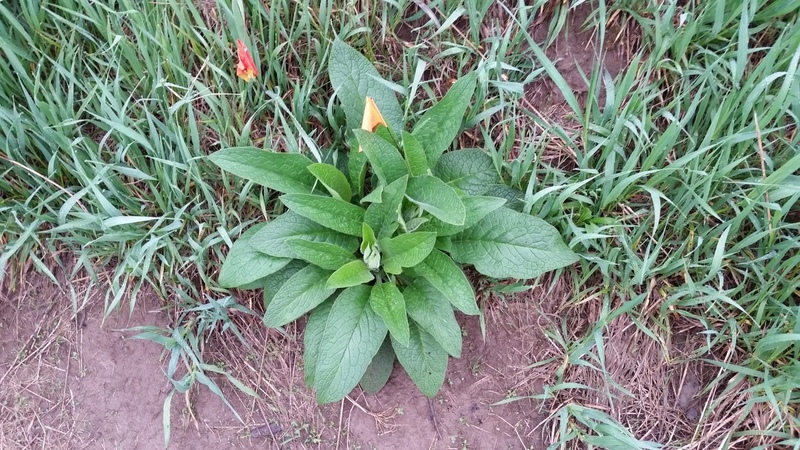 Comfrey is everywhere in the swales. Comfrey is a dynamic accumulator…in other words it’s a miner. The roots go deep and mine nutrients from the soil. The nutrients make their way up through the roots and leaves. The nutrients in the soil increase by just having this miracle plant in the ground. We plan to dig up some of these, split them and transplant them around our newly planted trees. 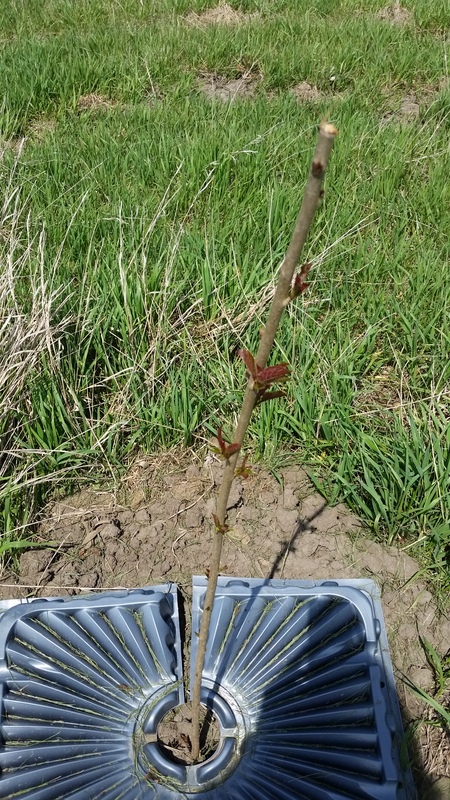 Every single cherry tree we planted a few weeks ago has leaves. 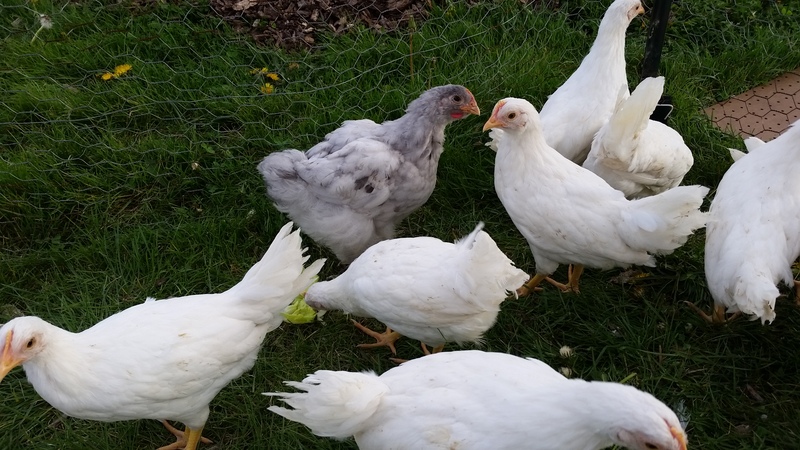 And finally, our little chicks have grown into pullets…or teenagers. 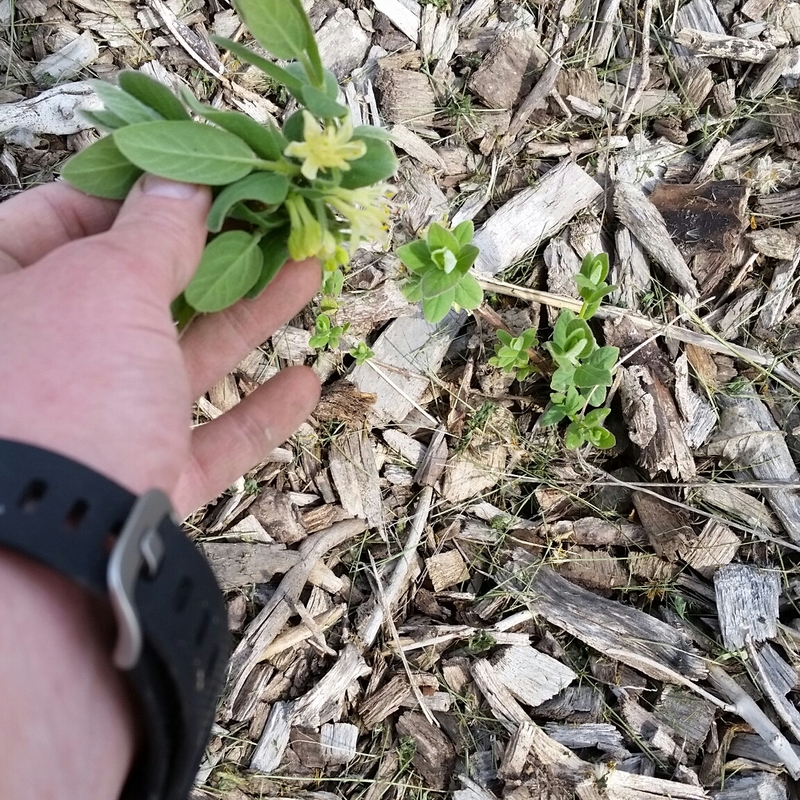 Yep, quite a bit is booming and blooming on our homestead. I take before, midway and after pictures every season and the transformation from dull grey to extraordinary green never ceases to amaze and impress me. 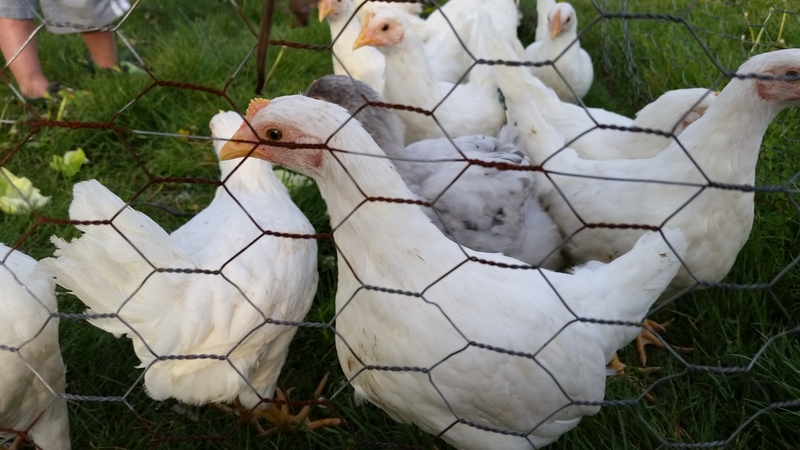 This entry was posted in A to Z Blog Challenge, Chickens!, Garden Stories, Life, Permaculture, Poetry, Writing. Bookmark the permalink. I love spring! It seems that everything is just the right color. I woke up the other morning (we’ve been getting a ton of rain) to cloudy skies and everything was so green I thought the skies were green.